Clothes that have holes, permanent stains, or missing buttons have no place in your fashion inventory. 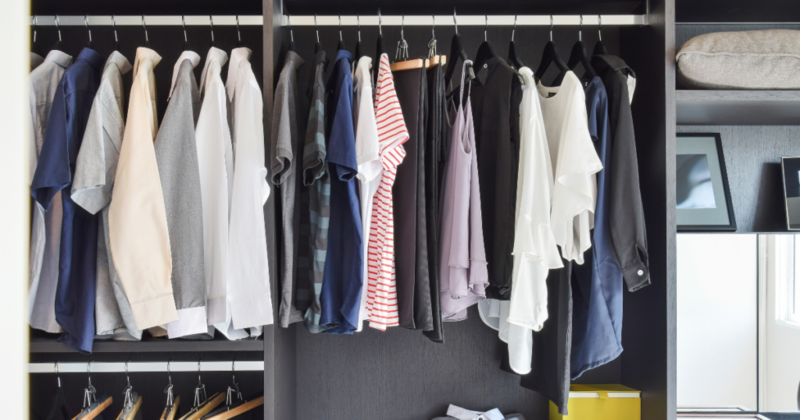 Next time, try investing in clothes made from good materials so that they will last longer in your closet. If you have a sense of creativity, try repurposing those damaged clothes in your next DIY project. Otherwise, just throw them away. Our body changes overtime but you should really only keep clothes that fit your properly. Are you keeping the clothes because you’re hoping to fit them someday? Set them aside and place a realistic timeline for when you’ll hope to reach that size by; if the time comes and they still don’t fit, it’s probably best for you to donate them. Lastly, don’t feel upset if that becomes the case; the clothes should fit you, not the other way around. Have I Worn It Lately? Stray away from overly trendy clothes that you’ll likely only wear for a couple of months at most. Instead, stick to some classic, versatile looks that you will likely get multiple uses from. You can make exceptions for clothes that should be worn for certain occasions -just make sure you don’t get carried away on what to keep.